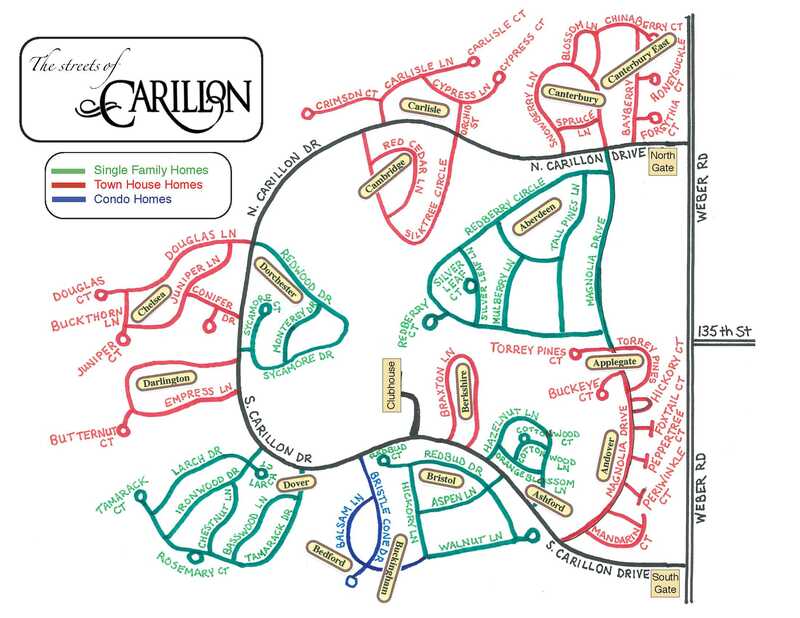 Carillon Adult Master Association is dedicated to ensuring the beauty, safety, and stability of the area, promoting neighborliness and pride among the residents, and forming a base for representation in matters affecting the community. Carillon offers a variety of home styles with beautiful views at affordable prices. This web site provide services to residents of Carillon Adult Master Association. We offer programs in tennis, swimming and a variety of social activities. You can find out more about these through the links above. Carillon Adult Master Association is a premier, active adult resort community that is conveniently located one mile south of I-55 on Weber Road in Plainfield. We are only 35 minutes from downtown Chicago.